SEOUL, Dec. 7 (Yonhap) — Star actor-singer Jang Keun-suk has been named honorary ambassador for the 2018 PyeongChang Winter Olympics and the host province of Gangwon, his agency said Thursday. 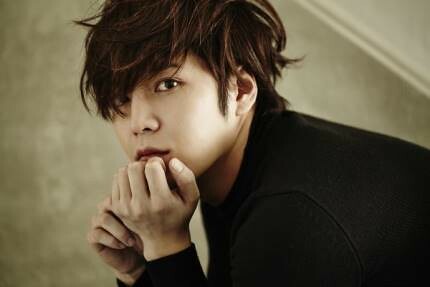 “We have high expectations from Jang Geun-suk as he has played a role bridging cultures in Asia,” Gangwon Province Gov. Choi Moon-soon was quoted as saying by Tree J Company. Jang will promote the Winter Olympics and the ensuing Paralympics at his Japanese concerts in Osaka and Tokyo in January. He also promised to buy 2,018 tickets to watch the Olympics together with fans at PyeongChang. “He plans to watch an ice hockey event together with his fans to relay his thanks and contribute to the success of PyeongChang,” a Tree J representative said. The Winter Olympics will be held in three cities — PyeongChang, Gangneung and Jeongseon — from Feb. 9-25. The Paralympics will be held in PyeongChang from March 9-18.